When people look at your deck, theyll see railing before anything else. Which is why a picture-perfect deck means selecting railing that signifies your style. With Trex, you can mix and match railing components to create a unique look, or choose from our Decking & Railing Duos for a simplified design approach. Trex Transcend Railing is as strong and sturdy as its namesake decking, putting every railing possibility within reach. Twice the fun of a standard swing, this double-seat glider lets two children play at once. Ready for easy assembly the glider hangs from any wooden playset and includes sturdy rope and chains. Take a thrill ride on the Monster Web Swing by Swing-N-Slide. This extra-large 42-inch x 33-inch oval swing is uniquely designed for a comfortable ride. The swing cultivates inclusive and interactive play. heavy duty construction can hold up to 3 children for endless hours of fun. The spider web design features an oval base of sturdy steel tubing encased in extra padding and durable braided plastic rope. This oversized swing fits in 2 bay swing positions while meeting ASTM space requirements. Remember the tire swing you grew up with? Now your kids can enjoy twisting, spinning fun with this sturdy tire swing! Four strands of rope attach to a spinning, swivel mount. Trex post sleeves, caps and skirts are the hub of all our railing lines and are available in seven Transcend railing colors. Mix and match Trex railing components to create a unique style, or choose from our Decking & Railing Duos for a simplified design approach. Trex Transcend Railing is as strong and sturdy as its namesake decking, putting every railing possibility within reach. 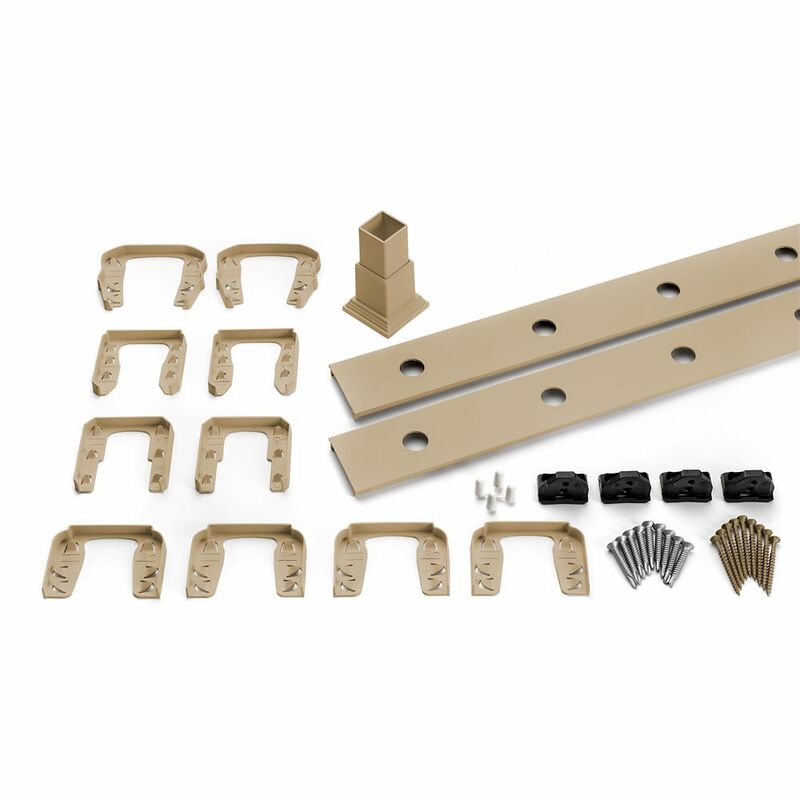 8 Ft. - Infill Rail Kit for Round Aluminium - Balusters - Horizontal Rope Swing When people look at your deck, theyll see railing before anything else. Which is why a picture-perfect deck means selecting railing that signifies your style. With Trex, you can mix and match railing components to create a unique look, or choose from our Decking & Railing Duos for a simplified design approach. Trex Transcend Railing is as strong and sturdy as its namesake decking, putting every railing possibility within reach.